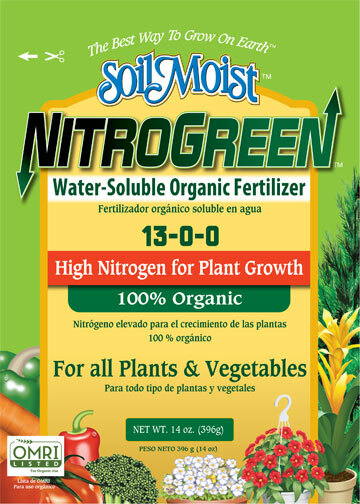 Nitrogreen 13-0-0 is a 100% organic based fertilizer that can be used on all plants and vegetables. Nitrogreen is OMRI certified and 100% water soluble. It goes into solution quickly to insure immediate delivery of its nutrients. Nitrogreen is plant based fertilizer and will not burn plants. Nitrogreen has the highest available nitrogen in the organic fertilizer market. Packed in attractive 14oz. bags with a shelf display. 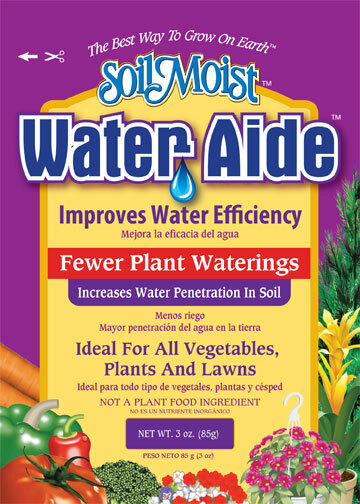 Water-Aide is an adjuvant/wetting agent that improves water efficiency. It increases water penetration in the soil with less runoff and helps spread water throughout the soil. Water-Aide is designed to reduce plant waterings. Each 3oz. package will make 60 gallons of water for your plants and vegetables. Simply mix 1/2 teaspoon with 2 gallons of water.